Journal of Early Childhood Education (JECE) is a peer-reviewed journal that aims to present the original manuscripts and contributions on issues, trends, policies and practices that shape the care, education and training of the children from birth to eight years old. The journal offers documented viewpoints and practical recommendations to enhance the field of early childhood education, especially in Pakistan and developing countries. 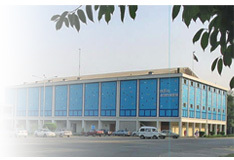 The JECE is operated by the Department of Elementary Education at Institute of Education and Research (IER), one of the pioneer institutes of teacher education and research in Pakistan. Publications by the JECE covers a range of topics only in the domain of Early Childhood Education (ECE) such as early childhood education curriculum, child care and development, special needs of early childhood age group, professional development of ECE teachers, employer preferences, use of information and communication technologies in early childhood education, pedagogy, family-school relationships, ECE school improvement and community programs for ECE. The authors bear the entire responsibility for the originality of their work to be published in the JECE. The journal welcomes original work in the form of empirical research to improve the outcomes of young children, educators and employers. The contributions submitted to the JECE are published biannually. The journal aids to meet the needs of early childhood practitioners, child care providers, classroom teachers, teacher educators, employers and policy makers, higher education institutes, research scholars and aspiring educators. This journal is will be got recognized by Higher Education Commission of Pakistan soon.